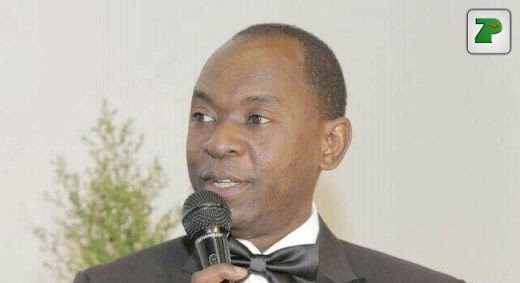 A person who has been elected twice to the office of the President cannot stand again for the same post, Lusaka Lawyer Kelvin Bwalya Fube has said. And Mr. Fube has charged that Zambia’s worsening poverty situation is due to bad leadership. Mr. Fube who has since authored a book titled “Zambia Must Prosper-Actualising Zambia’s Prayer for Prosperity” said the constitution in Article 106 as amended in 2016 is clear on the term limits for a president. Refusing to specifically mention President Edgar Lungu’s bid to stand as President in 2021 which has been contested in the Constitutional Court, Mr. Fube said there is no debate on what constitutes a presidential term. Clearly Mr Bwalya was talking about Mr Lungu but avoided mentioning his name because this matter is in court. He said anyone who has been elected twice as President without any reference to whether the first election was a result of death or resignation of the incumbent does not qualify to stand again. Mr. Fube said he did not want to mention any personalities as the matter is in court and he did not want to be cited for contempt of court. He said he has tackled the issue of the third term bid for the presidency in his book which will be launched this Saturday. The 174 page body with 13 Chapters tackles just about every aspect of the issues that have held Zambia back for so many years. Some of the chapters in the book include; Employment and Productivity, The Church and Zambia’s destiny, the Youths, Women, Patriotic Entrepreneurs, re-thinking our engagement with foreign investors and modernizing the ruling party.